Since 1884, Edox Watches has produced leading-technology high-precision timepieces with passion, ingenuity and a meticulous attention to details, enabling Edox to become over time a leader in precision sports watches on sea and land. In 1883, Christian Rüfli-Flury, an exceptionally gifted watchmaker, gave his wife, Eva-Maria, a pocket watch he designed for her 25th birthday. She was so impressed with her husband’s talents and the beauty of the watch that she persuaded him to found his own watchmaking company. 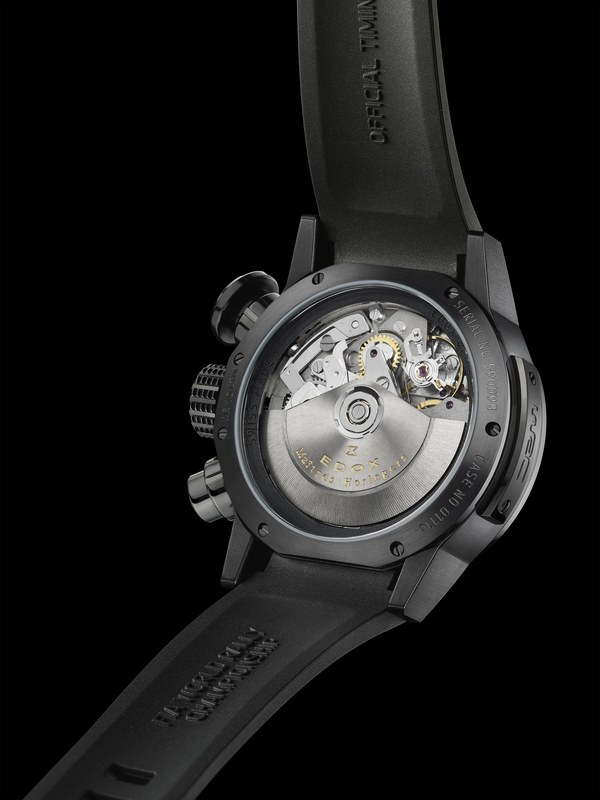 The next year, Christian Rüfli-Flury launched his watchmaking enterprise in Biel-Bienne, a city famous for its well-educated watchmakers. 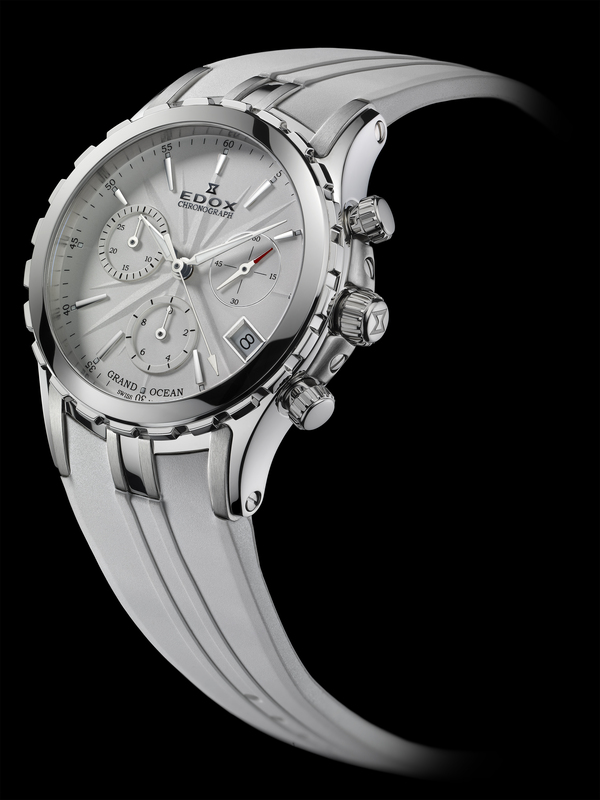 He named the company “Edox” which means the hour in ancient Greek. 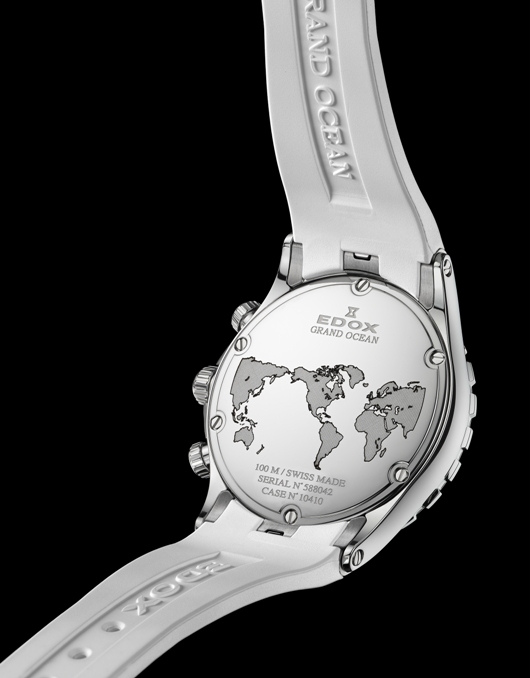 The hourglass logo he put on his watches has adorned all Edox watches ever since. For a century and a quarter, the history of Edox has been studded with horologic successes and inventions of which many remain unrivaled to this day. 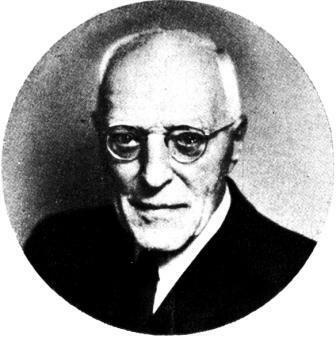 After the death of the founder in 1921, Edox was taken over by Robert Kaufmann-Hug who realized that wristwatches were more practical than pocket watches and gradually phased out pocket watch production. 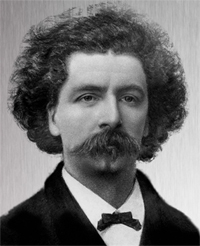 His decision marked a turning point in Swiss watchmaking history. After World War II, demand for Edox watches was very strong. Edox was so successful that in 1955, the company moved into a spectacular new production facility, the most advanced watch factory in Switzerland at that time. The decision paid off with one technological achievement after another and since the 1960s, Edox has produced many firsts in the Swiss watch industry. In 1961, Edox became the benchmark brand for water-resistance with the launch of its Delfin model, a revolutionary timepiece that was water-resistant to 200 meters due to its sturdy, protective gaskets, double case-back and a special shockproof design. 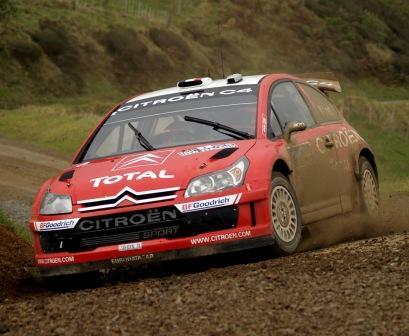 The Delfin set a new standard for shock protection and water resistance. In 1965, Edox Hydrosub set a new record with a model that was water resistant to 500 meters. The diligence of Edox for producing innovative, highly precise watches was recognized in 1966 when the company became the official timekeeper of the famous Vuelta bicycle race in Aragon, Spain. 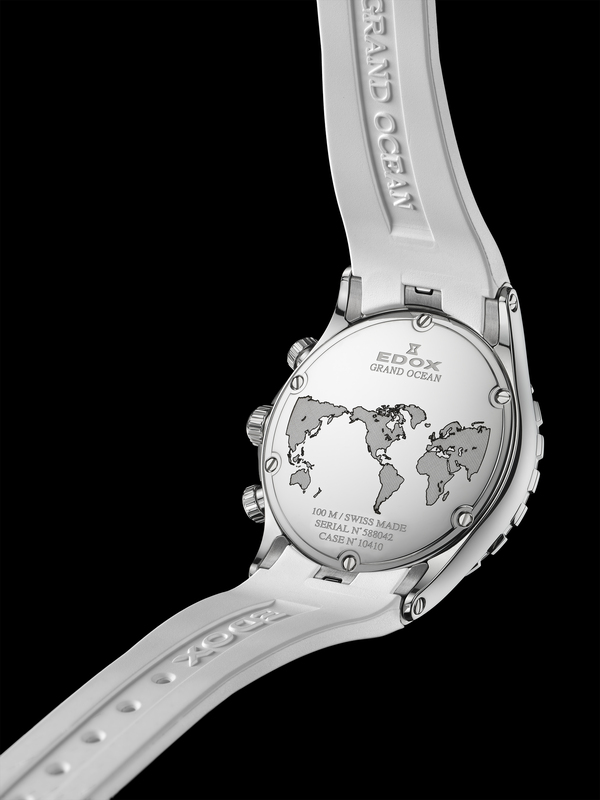 In 1968, the company continued its prominence as an official timekeeper in the world of sports when Edox became the official watch of the Olympics. 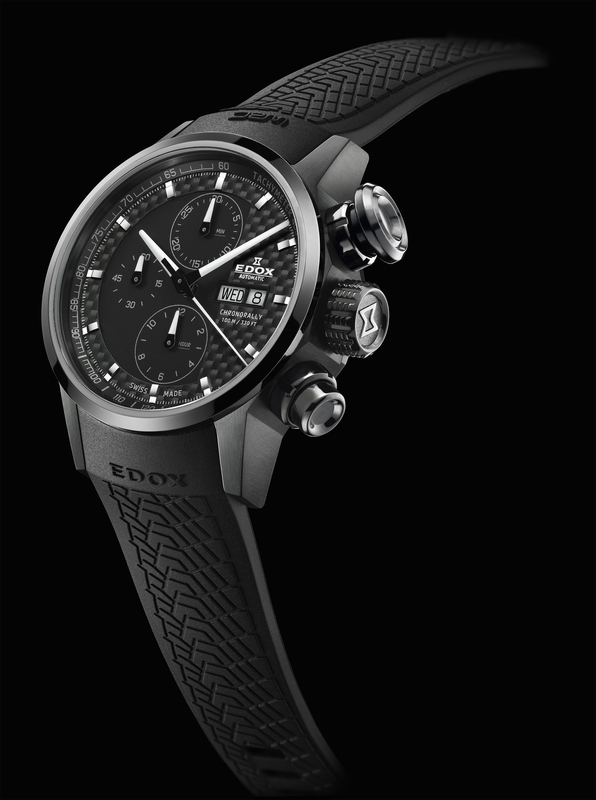 Edox has achieved dominance in one performance sport after another. In 1983, in the face of a watchmaking crisis, Victor Strambini took over Edox and moved the company to Les Genevez, in the heart of the Swiss Jura Mountains. 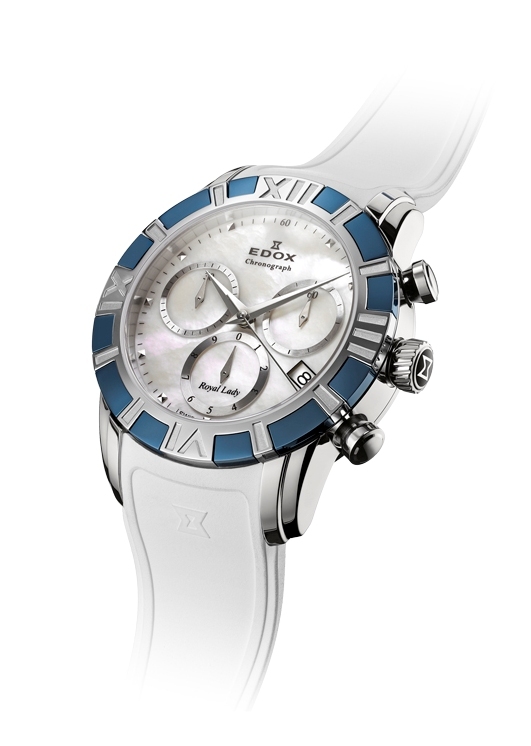 In 1988, Edox achieved major success with an ultra-slim calendar watch, the famous Les Bémonts Ultra Slim. 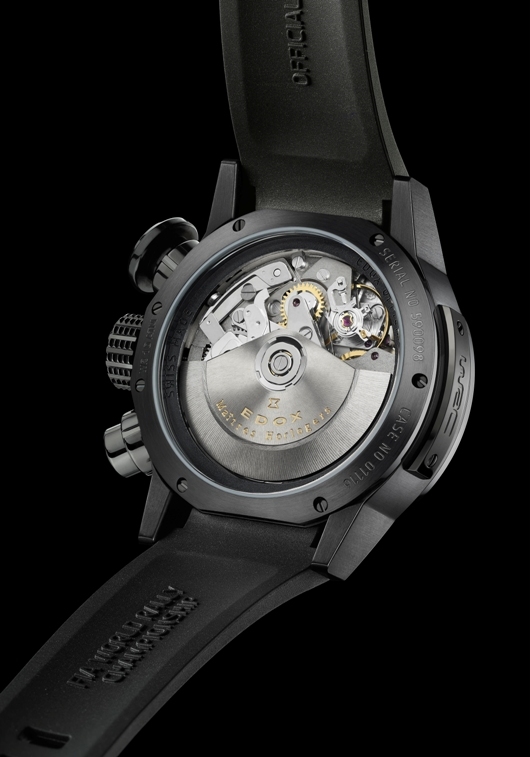 It featured a movement that was scarcely 1.4 millimeters thick. Les Bémonts Ultra Slim earned Edox the coveted “Watch of the Year” award by a readers’ poll of the influential specialist periodical, Orologi. This world record for the slimmest calendar watch remains unbroken to this day. Of course, the technical engineers and fine watchmakers at Edox were never content just to set new standards for precision timepieces. They set out to raise the bar even higher. In 2005, Edox created the famous Les Bémonts Maitre Horologer 5 Minute Repeater. This mechanical watch featured a highly complicated movement that was able to tell the time by its bell mechanism. Edox’s passion for technical perfection quite naturally led the company into the world of nautical sports, initially involving luxury boats, and later powerboats. 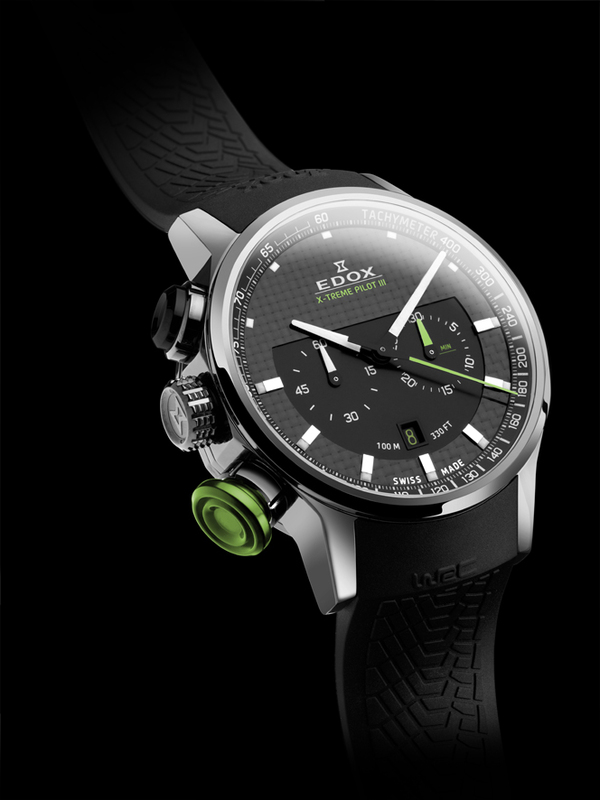 In November 2006, Edox became official timekeeper for the Class-1 World Powerboat Championship, the famous Formula 1 of the seas. 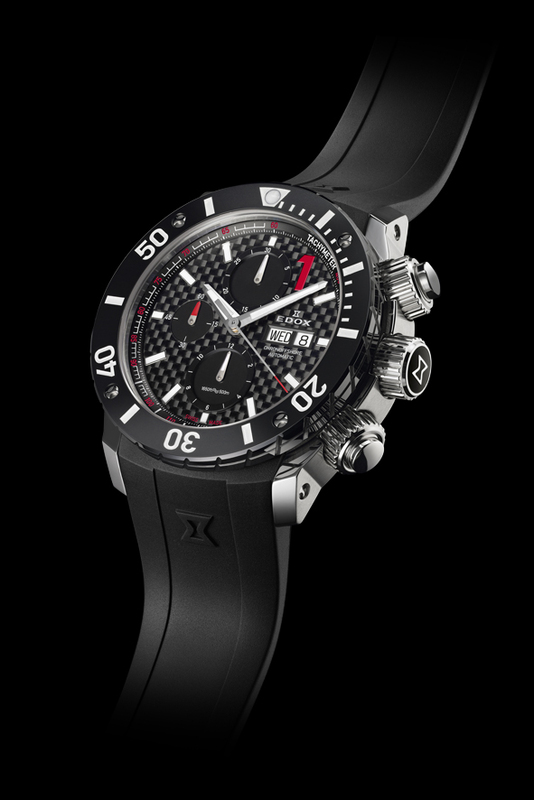 The two crews of the Team Qatar boats wear Edox Class-1 models on their wrists. 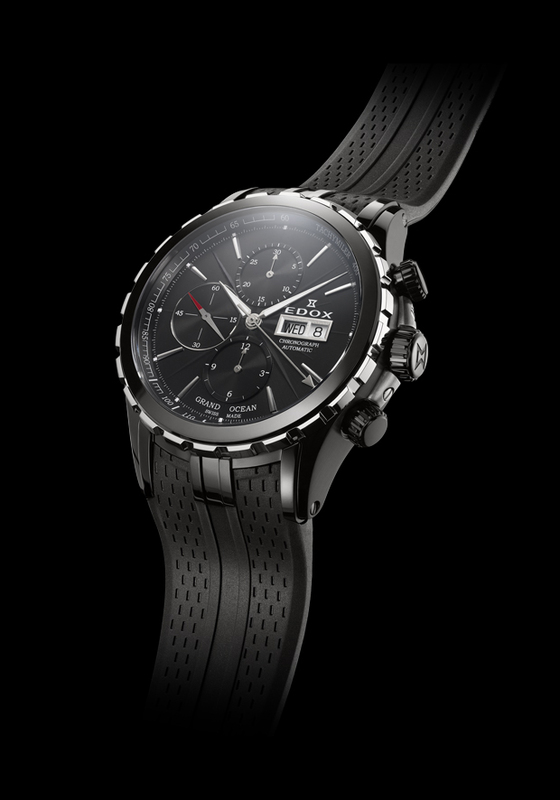 Working in close cooperation with Class-1 engineers, Edox developed a new form of chronometry based on satellite and GPS technology. 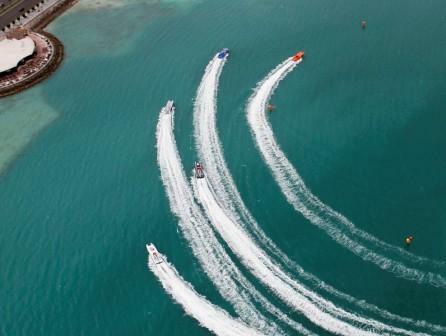 Edox became the first watchmaking brand to make a substantial and long-term commitment to motorized water sports. 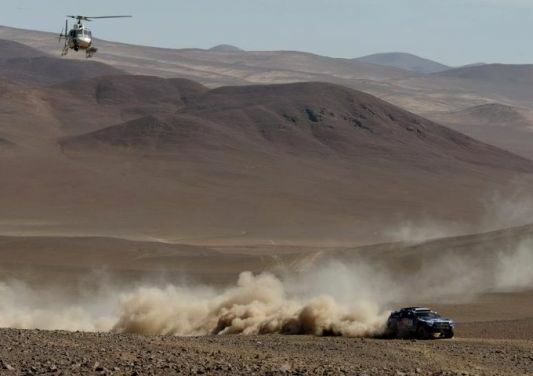 More recently, Edox has developed an important partnership as the official timekeeper of the prestigious World Rally Championship, a grueling land race that features the best drivers in the world. Since their beginnings, Edox Watches has had a very clear vision of how to achieve and exceed excellence, thanks to their innovative ideas and ceaseless design research, while at the same time maintaining the classic traditions of watchmaking know-how. 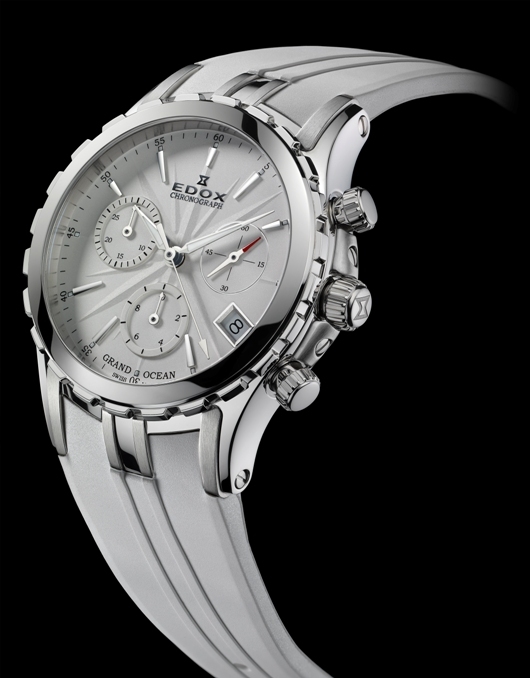 Elegance, precision, and technical innovation have represented the Edox philosophy since 1884. 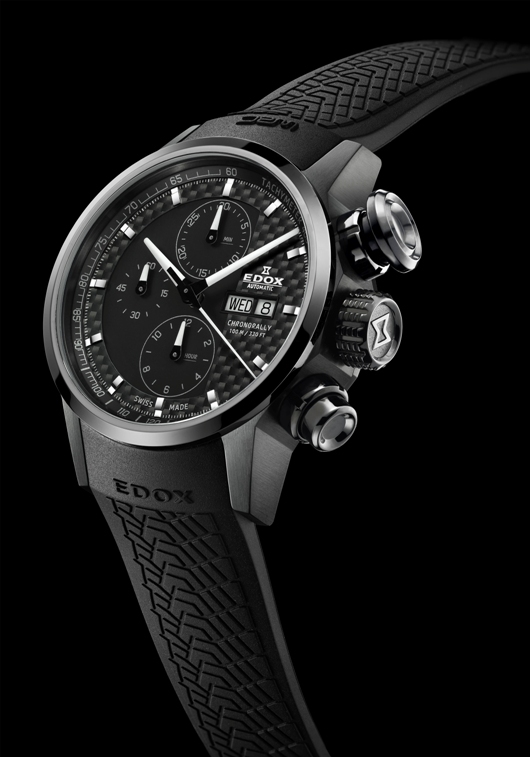 Edox introduced at Baselworld several exciting new chronographs that further extend its already impressive array of luxury watches.